CAIRO – 15 November 2018: Between November 3-6, Egypt held the second edition of the World Youth Forum, bringing together individuals from countries all across the globe. The forum has seen a significant increase in participation from 2017’s 3,000 to more than 5,000 this year. Egypt Forward has collected testimonies from some of the participants in the forum to try to understand the extent of the effect of the World Youth Forum. 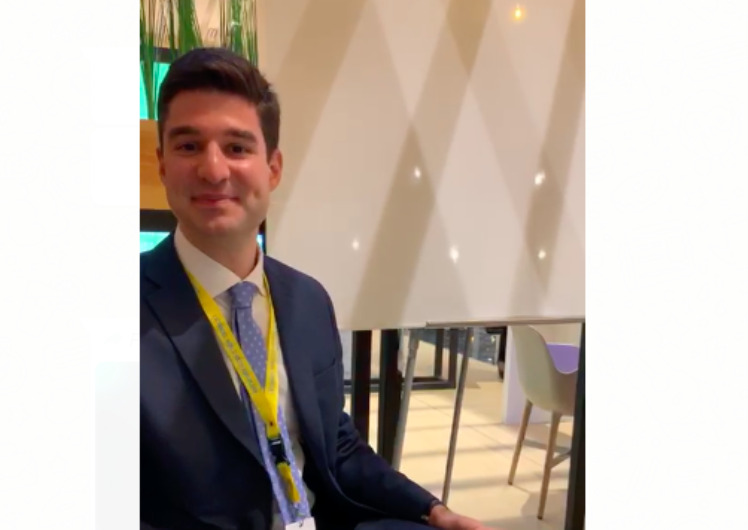 Among the youth participating in the youth forum was Dimitri Roumeliotis, an Associate in Corporate Banking Coverage in Deutsche Bank in New York, who spoke highly of his experience in the forum and how welcome he felt in the country. Speaking to Roumeliotis, he clarified that this type of forum is essential to ensure that people from all over the world better understand each other and that networking is key to ensuring change in the world. “I found out about the World Youth Forum from my cousin who was participating last year and is a speaker this year. He is a member of the European Youth Parliament,” he said. The idea is to step across the aisle and use the human element to develop and make things better, he explained. For Roumeliotis, the people he met in the World Youth Forum from all over the world allow him to be able to understand different cultures more and is a strong starting point, and a much needed one, for the world to change and develop to the better. “It has been such a great opportunity and I am very grateful to be here and grateful for Sisi for making this happen. … I have really enjoyed it,” stated Roumeliotis.